Swedish Designer Julia Groth started a four month long internship in MESH Design Studio today. 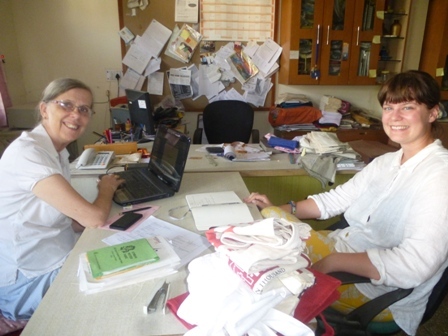 Her first project is to design a bag for Swedish supermarket chain Malmborgs to replace one that the tailors in Bharat Mata Kusht Ashram helped to make last year. With printing as her specialty we can expect something exciting.